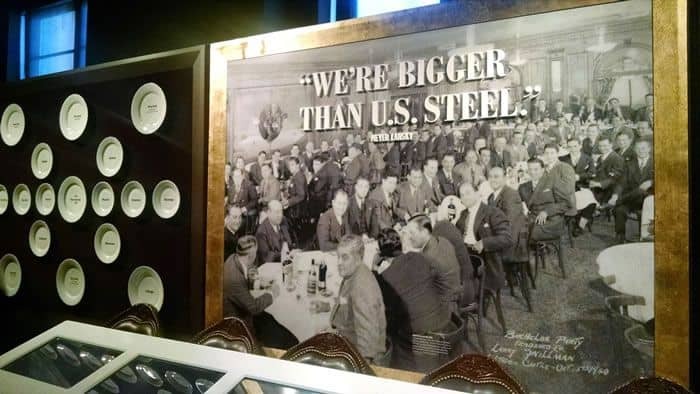 The Mob Museum in Las Vegas, NV doesn’t feel like your average museum. 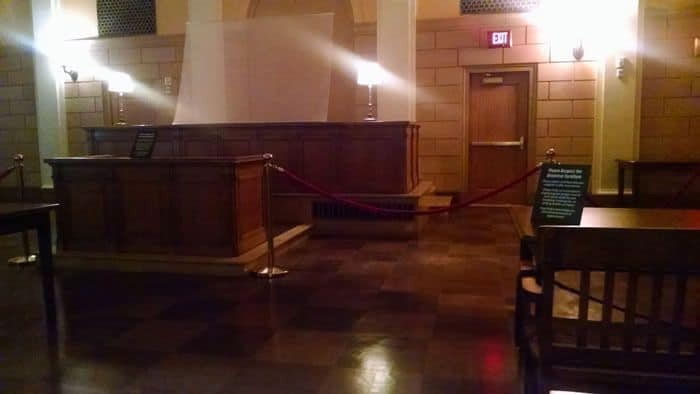 If you’re anything like us, you’re not going out of your way and spending $20/person to walk through a museum. The Line Up – get in a mock police line up holding a booking card and get your picture taken. 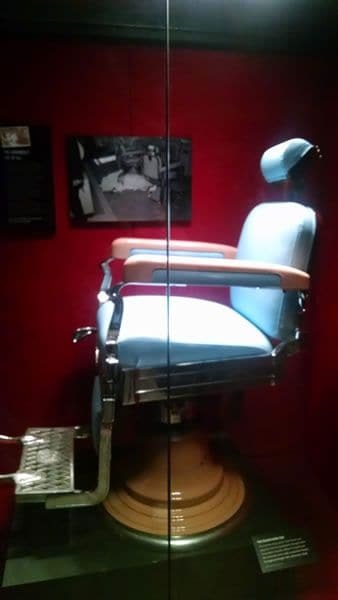 Watch videos – Small rooms setup throughout the museum with about 20 seats in each with a large screen showing a video about a particular topic or gangster. 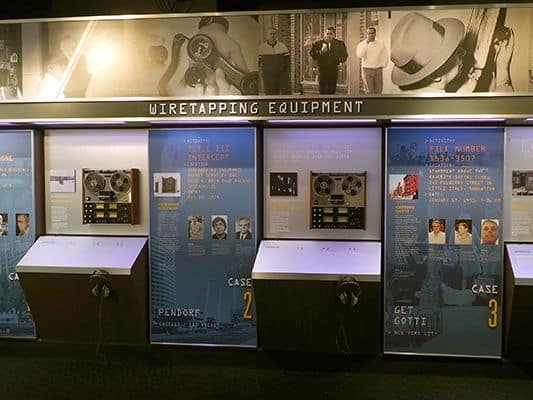 There are also small screens set into the wall with interviews with the mob members who flipped to informant, old police recollection, and newscasts from the time. All very interesting and you can choose which ones you want to watch. Pick up an old phone and hear what the wire taps sounded like. 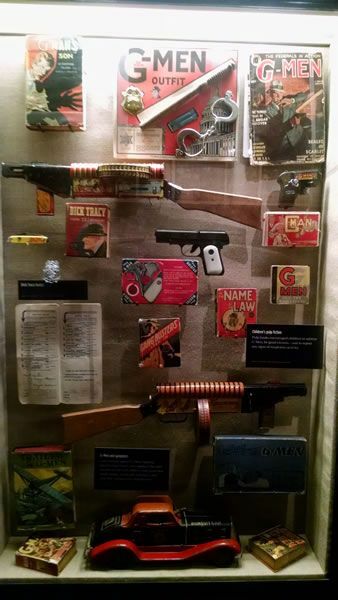 On the third floor shows the targets of the G-Men, and you can shoot a gun at the target as practice, but beware…its loud! You can even try the simulated weapons training the police underwent. 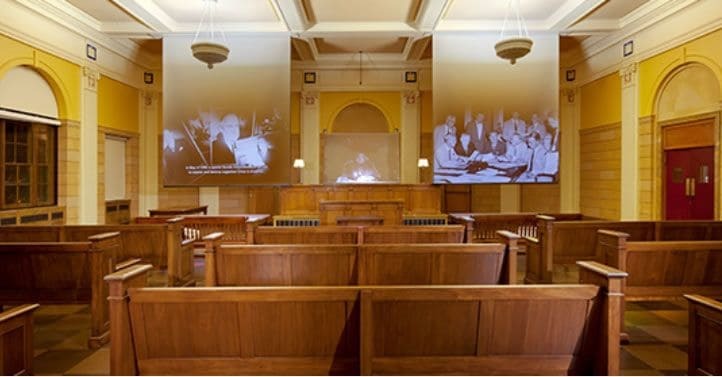 The Courtroom on the second floor of the Mob Museum is an exact replica of the Kefauver Hearings in Las Vegas that put mobsters and businessmen on the stand in the same building you sit in at the Mob Museum. 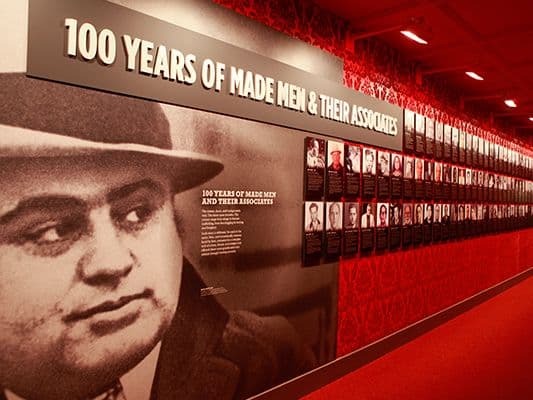 On the way out you pass by a long wall of 100 Years of Made Men. 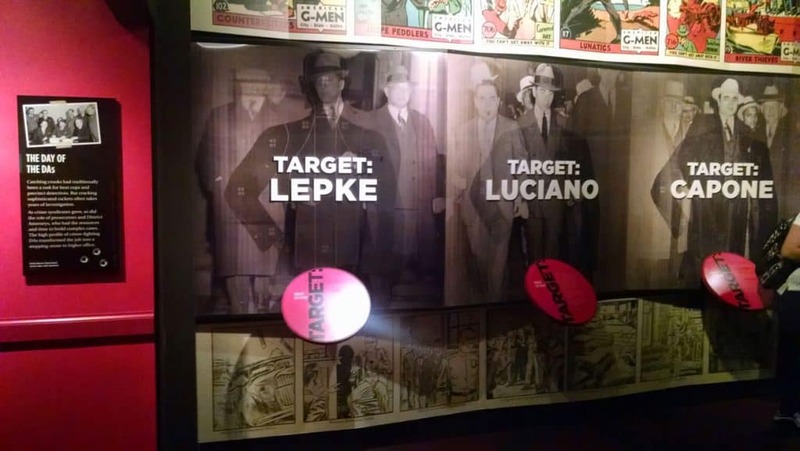 This is a fascinating way to display the most important and notorious figures in the Mob. 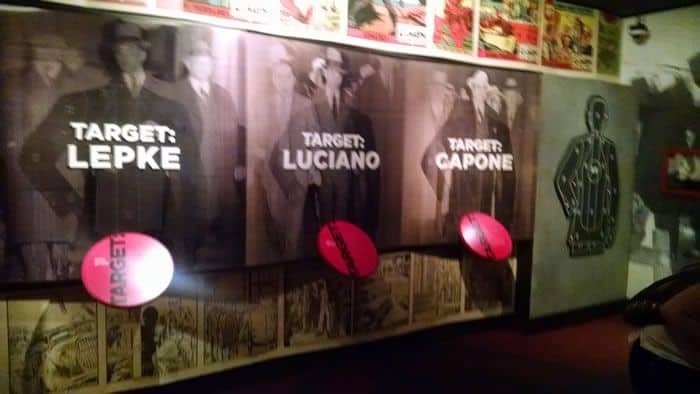 The Mob Museum is a fun couple of hours, a great thing to do in Vegas during the day, and definitely doesn’t feel like a museum. Sunday -Wednesday 9 a.m. – 10 p.m.
Thursday -Saturday | 9:00 a.m. – 12:00 a.m. 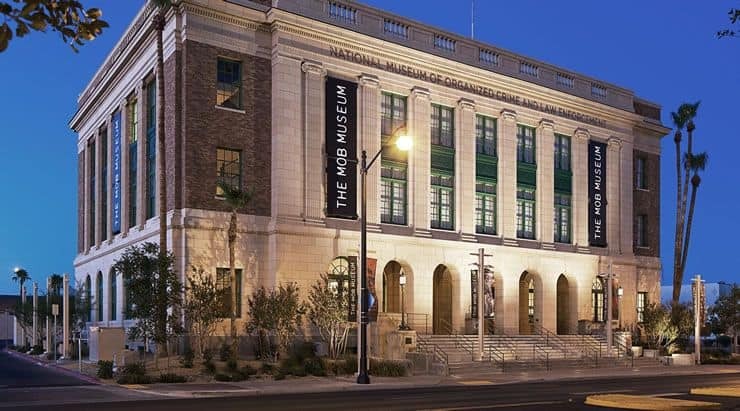 The Mob Museum is about a 15-minute drive from the Las Vegas Strip via I-15 North. Limited parking is available for a small fee near the Farmers Market next door.